Elec-sat Installation has been established since 1986 and specialises in the supply, design and installation of domestic and commercial aerial and satellite systems, both individual and multi-point systems. Based in Manchester, Manchester we cover the North West of England and have undertaken several nationwide contracts. Our company is an experienced provider of European and International satellite installations and we use our own expert engineers to ensure we deliver an unbiased service. Elec - sat engineers have been checked by the Criminal Record Bureau and are fully insured to work with extreme heights. We have additionally had our engineering, premises and safety practises approved by the CAI, CSCS and Safe Contractor Scheme. 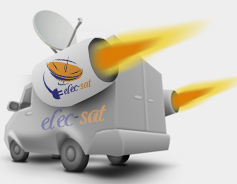 Elec - sat Digital are a highly skilled and vastly experienced engineering company. We operate with a strict staffing policy, directly hiring all of our own engineers to ensure we offer our clients an unbiased service. 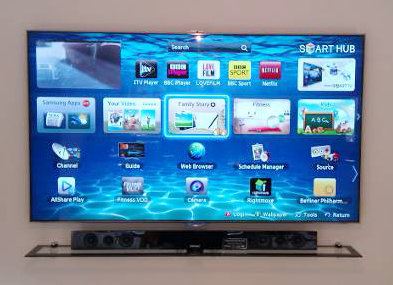 We specifically choose installers who have gained all of the essential training. Elec - sat engineers regularly receive updates to this training, to cover rapidly developing technology and emerging products and installation techniques. Our engineers can therefore advise customers on the complete range of options available to them at the present time and notify them of possible future trends and services. Elec - sat engineers go through obligatory checks by the Criminal Records Bureau. This is because we fully value the trust that is placed upon us when we enter the homes and business premises of our clients. Our installers are additionally fully insured to work on any building, which includes unlimited height restrictions. We are therefore able to work on a vast range of projects with great awareness of working with the optimum safety standards. We have an extensive background working on large commercial endeavours and provide every client with direct contact with one of our senior engineers, who will offer at least three years of industry experience. In addition to working with our own high standards, Elec - sat Digital have also been externally vetted and approved by the top three regulatory bodies of the engineering industry. We hold voluntary memberships with the CAI, CSCS and Safe Contractor Scheme.